I recently had the opportunity to view some of the newest courses from Pluralsight, an organization that offers online training courses for developers. One of the courses that I viewed was the SQL Server Questions & Answers (http://www.pluralsight-training.net/microsoft/Courses/TableOfContents?courseName=sql-server-qa) by Pinal Dave (blog) and Vinod Kumar (blog), both of whom have been a source of inspiration to the entire SQL Server community and enthusiasts like myself. Today, I take the opportunity to write a review on the course. Book or Online course? Are they the same? So, the question now is – both the book and the online course have similar names. Are they the same? My answer: No. While the online course is based a highly filtered content from the book, the online course is much more than the book. Pinal Dave takes the place of the garden-variety SQL Server developer & administrator whose mind is full of myths surrounding SQL Server. Vinod Kumar spreads light by demonstrating the problems caused by these common misconceptions and also demonstrates the right way to do things. The online course is more of a “myth-buster”, and is definitely not the same as the Interview Questions book. When I first looked at the course index, I thought – there’s no way such a laundry list of concepts can be covered in a time that’s just above 120minutes (2 hours). But, the simplicity by which Pinal & Vinod explained the most complicated concepts left me hungry for more. I took the entire course in one, uninterrupted session and it’s quite possible that almost everyone who views the course would have a similar experience. What is the difference between temporary tables & temporary variables? Does the order of columns in the WHERE clause matter? What is the real difference between DELETE & TRUNCATE? In addition, the course also enlightens us on some of the basic elements like – how long should a transaction be? or, are locks maintained throughout the duration of the transaction? At one point in the course, Vinod says – "Dynamic SQL is really not bad, it’s the way in which we prepare & execute SQL that matters." – It just can’t get any better than this! Pinal & Vinod never cease to surprise me. The final part of the session is not about questions and answers, but about how the various Tools & utilities within SQL Server can help us make working with SQL Server a breeze. While I have written about them in the past and use them in my day-to-day work, I was surprised to note a couple of things that Vinod had up his sleeve. 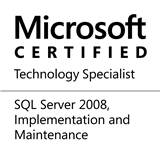 Every SQL Server developer must take the course. If you are into DB design, this course has elements that you would definitely enjoy, especially the part which demystifies DENY v/s GRANT operations. Do not miss the course for a highly productive work environment! So, this week-end, register with Pluralsight and take the course. This entry was posted in #SQLServer, Blog, Imported from BeyondRelational and tagged #SQLServer on February 23, 2012 by nakulvachhrajani. We are absolutely motivated and appreciate your time to write the review for the course.